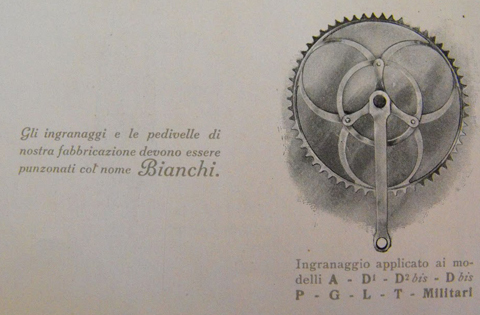 The history of Bianchi is also an essential part of the history of Italy. 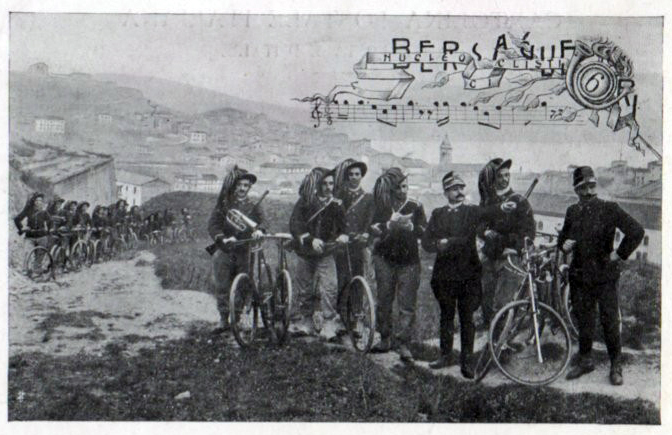 The Bersaglieri were already well-established as cycle troops. 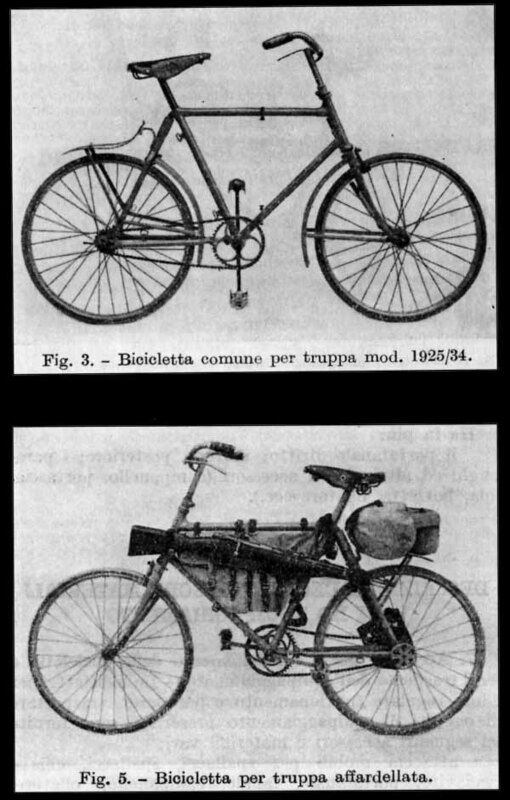 Before WWI began, Bianchi, with production figures of 45,000 bicycles, 1,500 motorcycles and 1,000 cars per year, was asked to design and produce military vehicles. 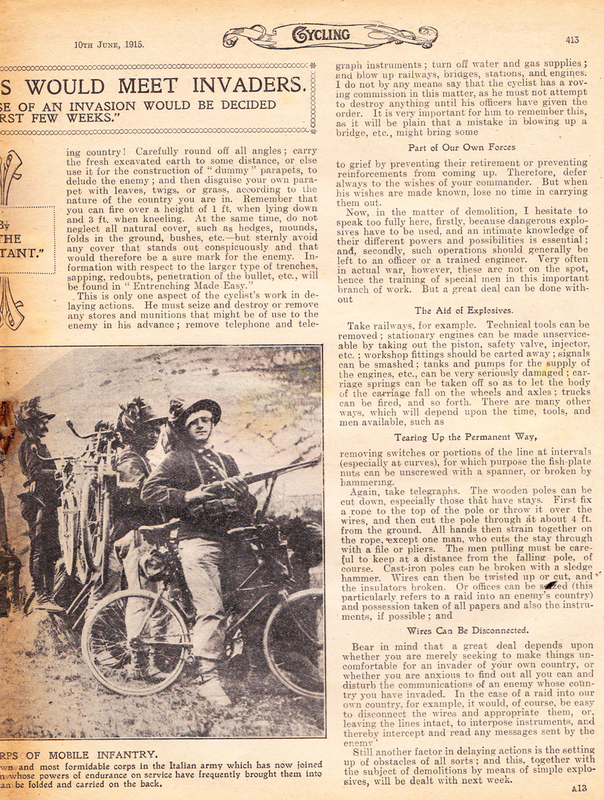 Their famous bicycle had optional mounts for a rifle, machine gun, or mortar. 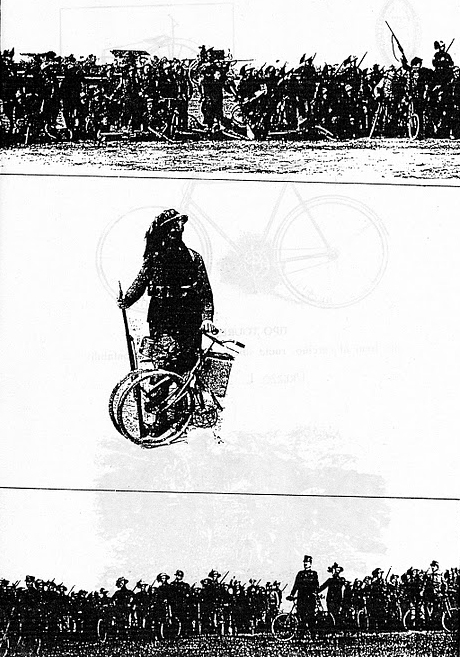 The mortar was transported by three of the bicycles, each with complementary fittings to transport the various parts. 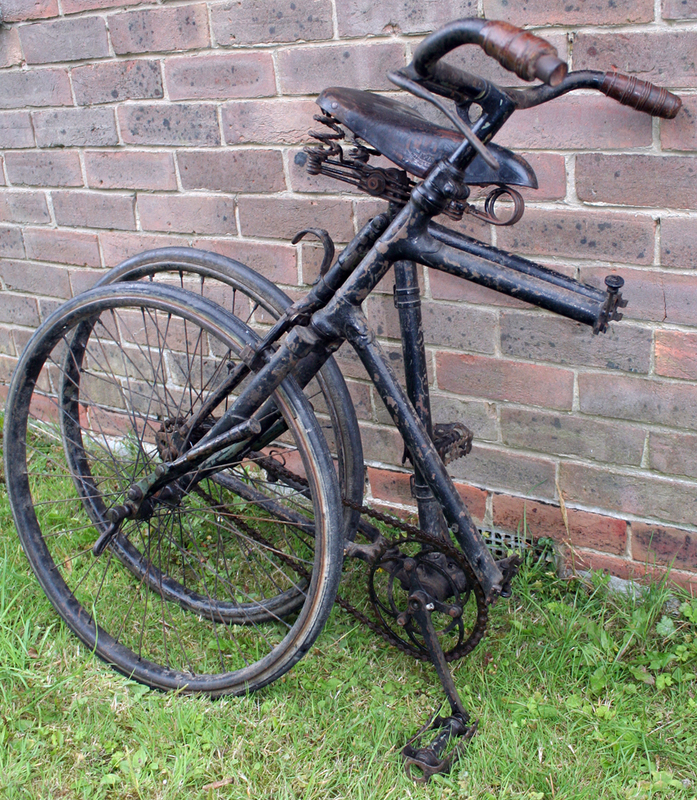 Featuring rear suspension and sprung front forks, as well as being a folding machine, this is an advanced bicycle design. 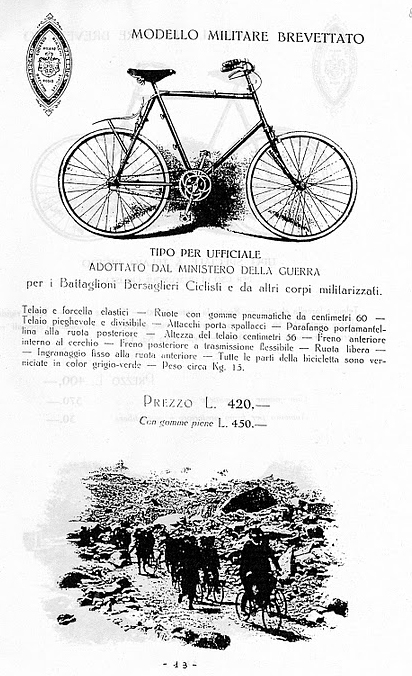 The Italians were early adopters of military bicycles. 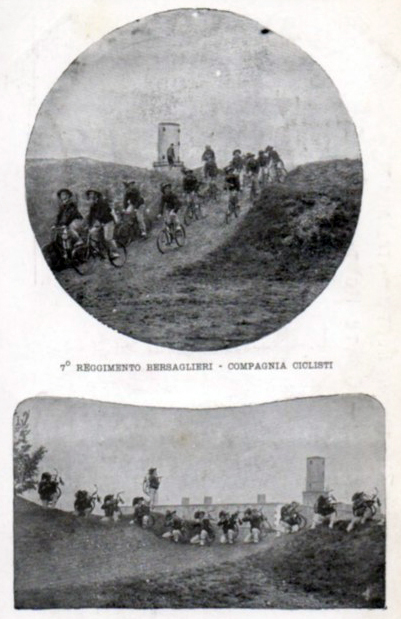 The elite Italian corps who used them, the Bersaglieri (‘bicycle mounted infantry’), were respected everywhere in the world. The Bianchi folds very easily, as you can see above; the small wheels are definitely an advantage while folding. 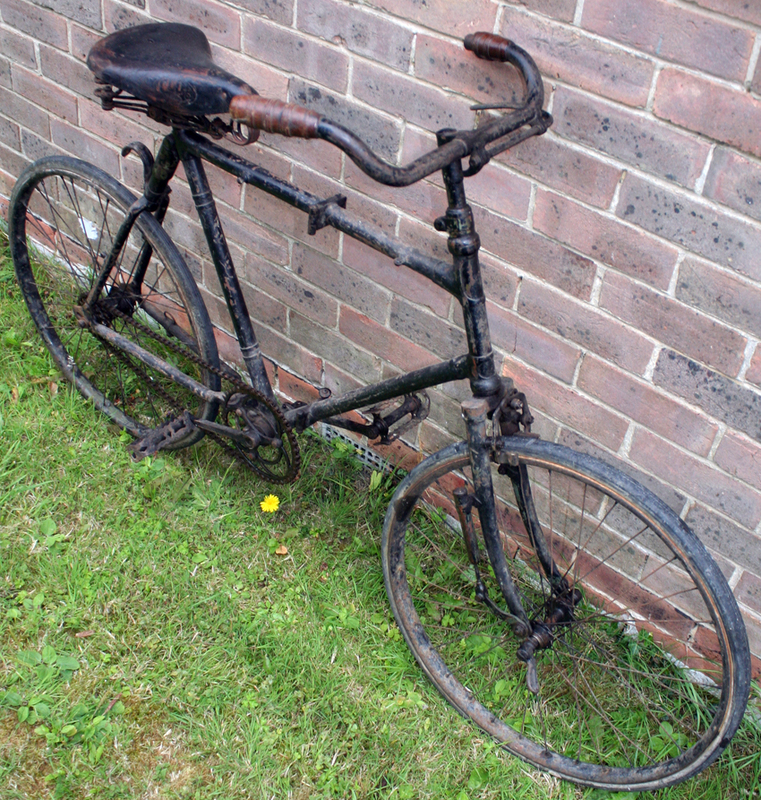 It is much lighter than the WW1 BSA Folding Bike. 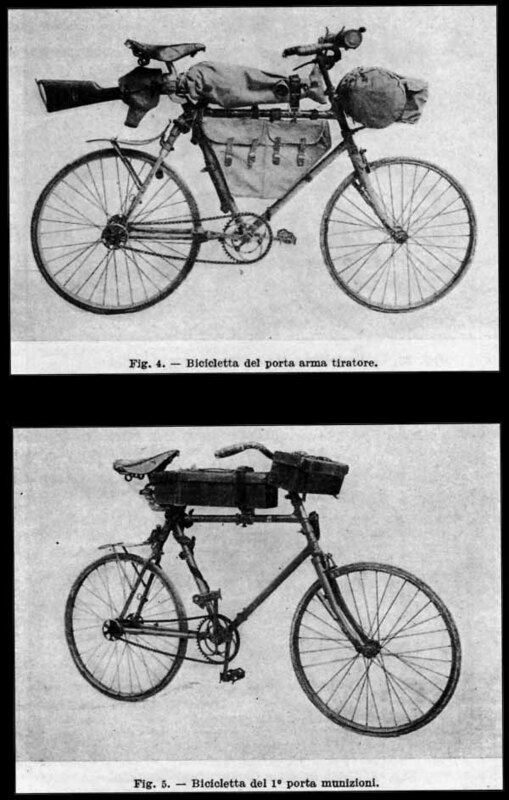 Like so much of military bicycle history, various information I’ve read in my research on the Italian machines is contradictory. My Italian language skills are limited to ‘ciao’ and restaurant menus. So I’ve pieced together a history as best I can. Like everything you read on the internet, please do not accept it as absolute fact; and if I find further information, I’ll update it. 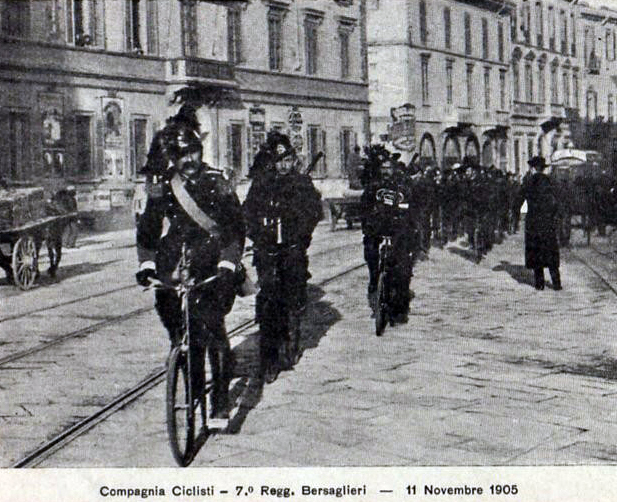 Until 1910, the Bersaglieri cycle troops used civilian bicycles. 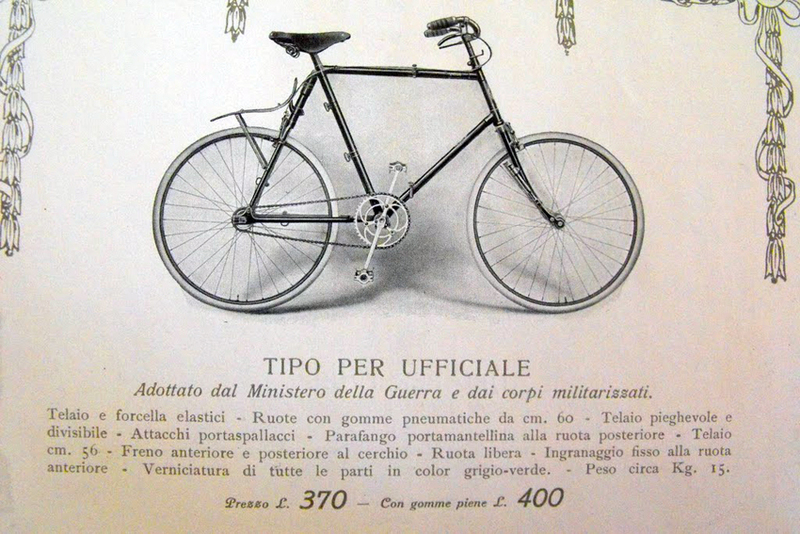 But these obviously had their shortcomings, so the government issued a contract for the Italian bicycle manufacturers to tender their designs for a military bicycle. Four companies were selected out of the eleven initial representations. After lengthy evaluations and trials, Bianchi was selected. 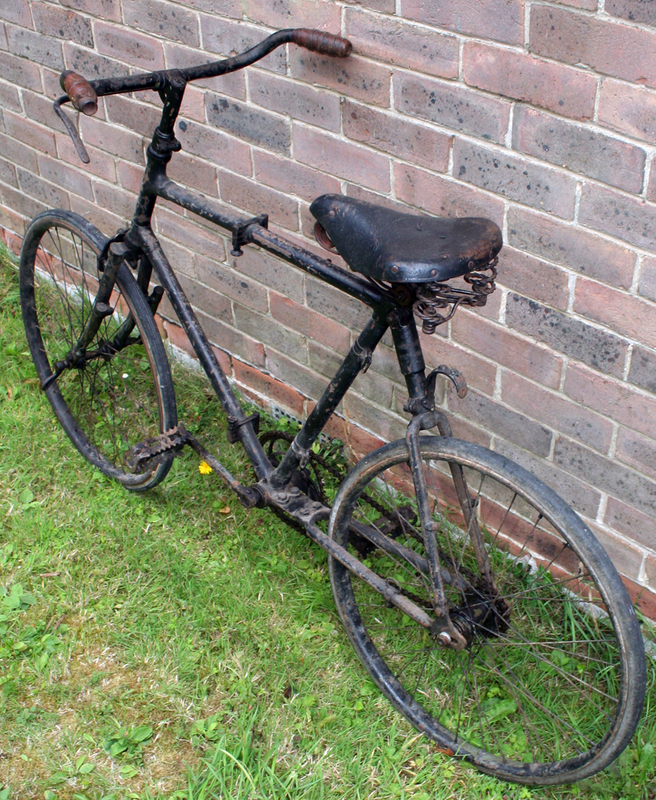 Their bicycle was called ‘Model 1912’ and it appears to have gone into production in 1913. 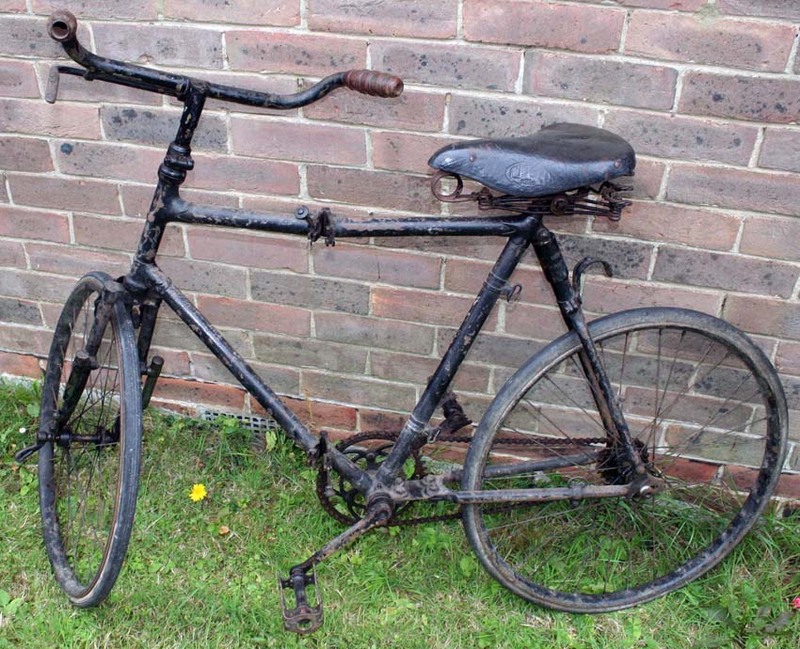 This machine could be considered the ancestor of the modern mountain bike. 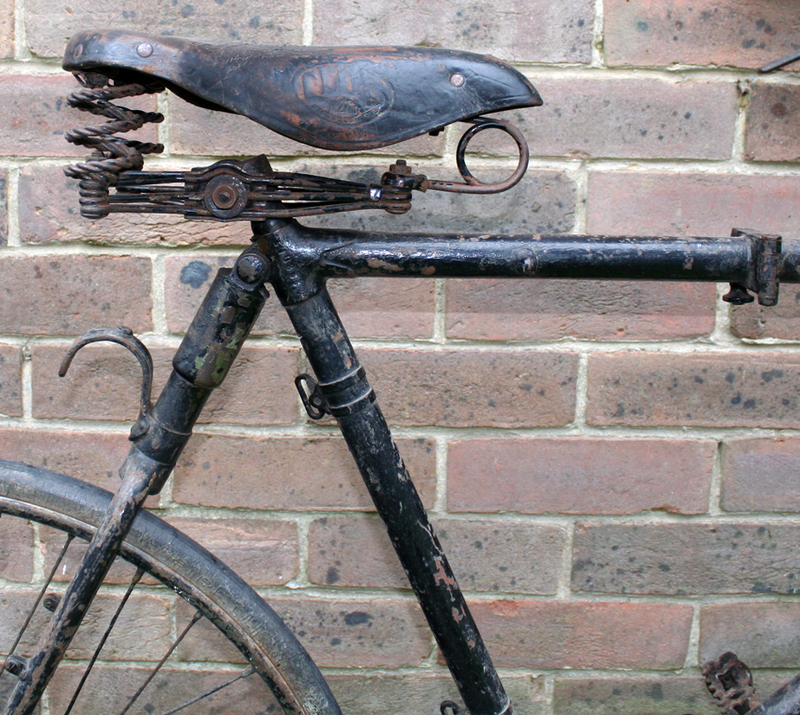 It featured a folding frame weighing 14kg with shoulder strap fitments on the rear of the seat tube (see below). 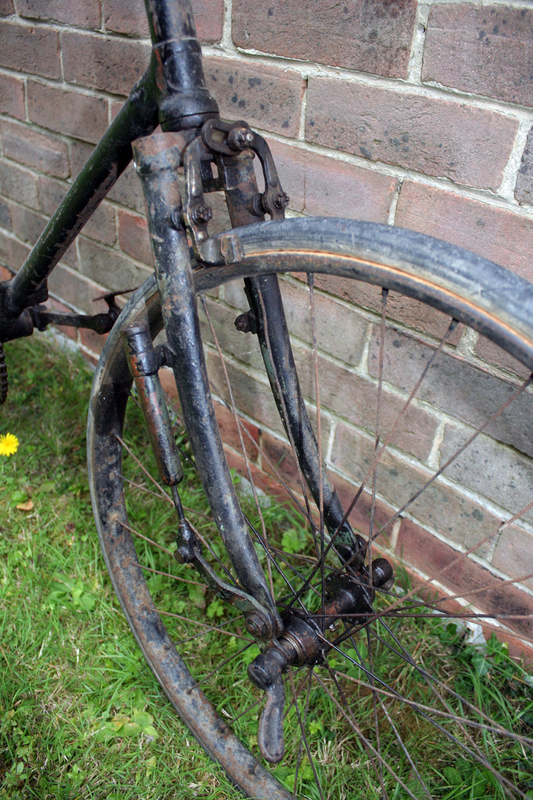 Its small wheels were designed for improved handling, and the solid tyres avoided frequent stops for punctures. 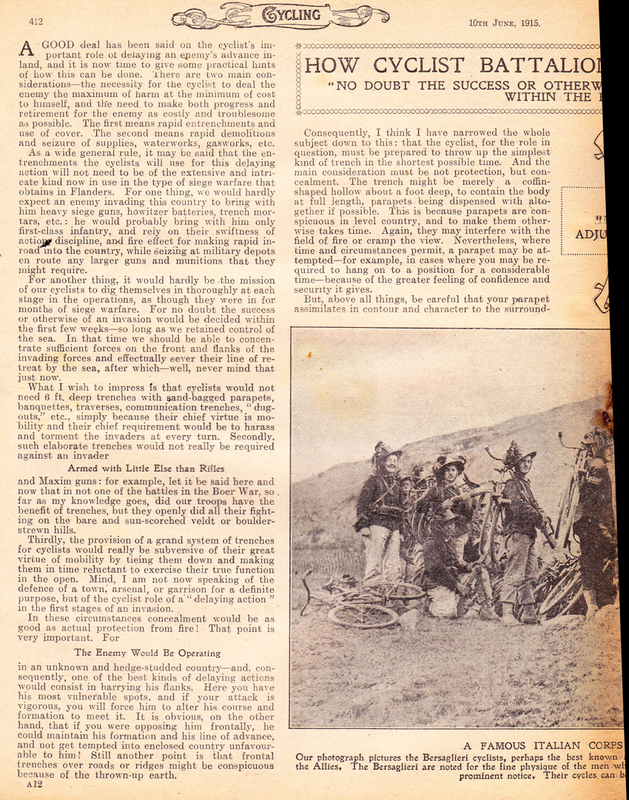 I believe that, while enlisted men used solid tyres, officers’ machines were fitted with pneumatic tyres. The solid tyre is marked S.E.L.G 600 x 27 (24). 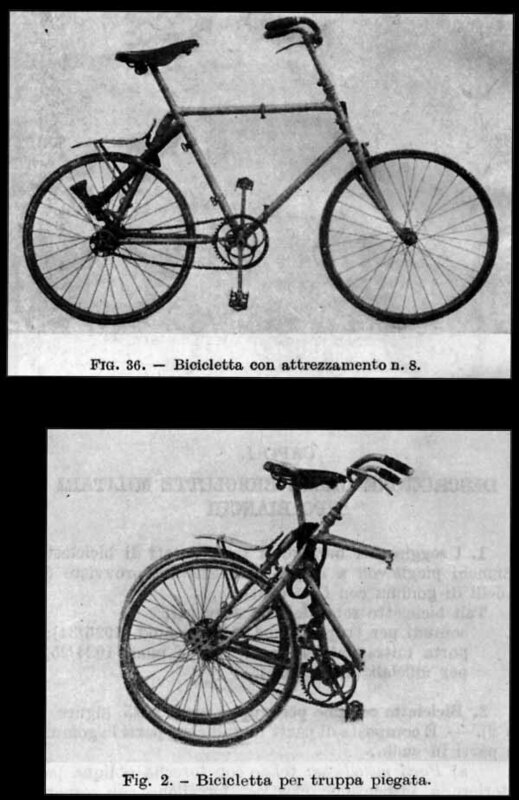 It was designed as a spring frame, with front shock absorbers (above) and a rear fork, in order to compensate for the solid tyres. 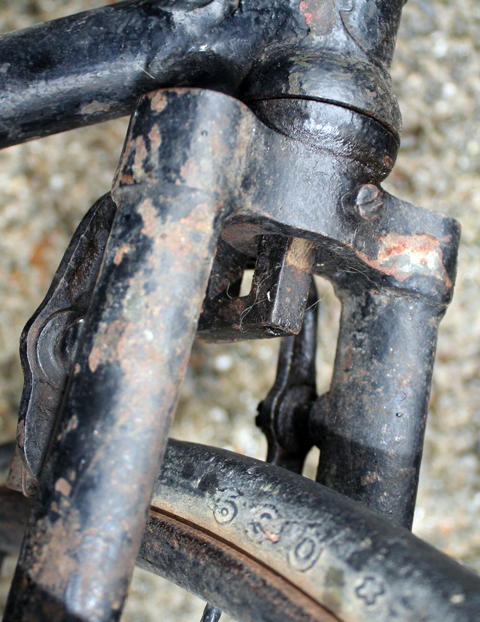 The front brake rod was integral (see below), as an external brake linkeage may have been snagged by the heavy luggage carried by the bike. 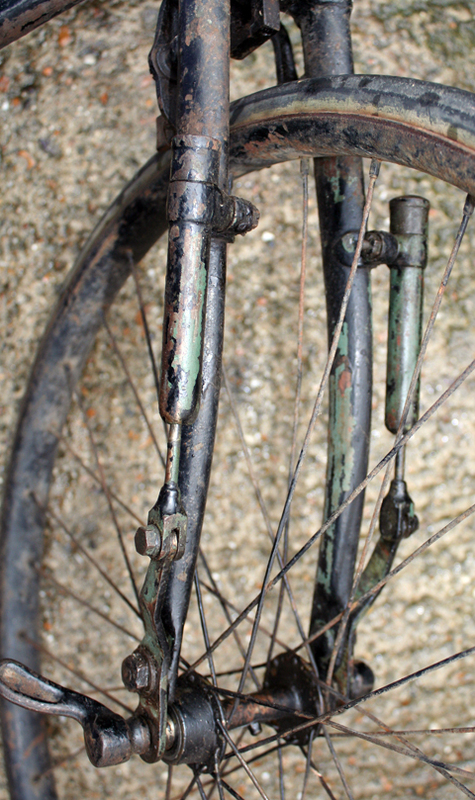 Below is a view of the brakes from behind, ie with the front wheel turned for folding. 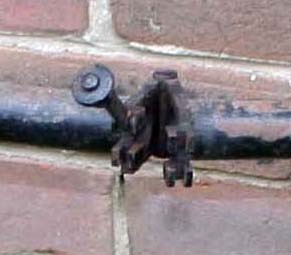 It illustrates how the internal brake mechanism exits at the bottom. 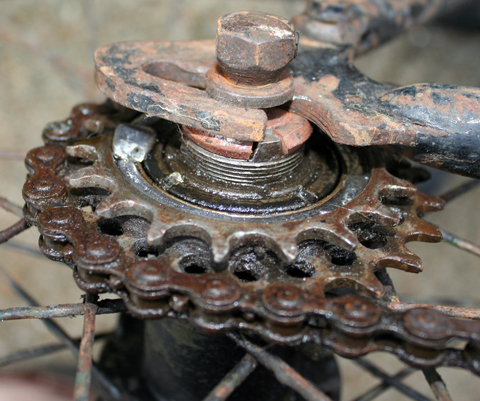 It’s a fixed wheel machine (a geared hub was prone to break under stress). 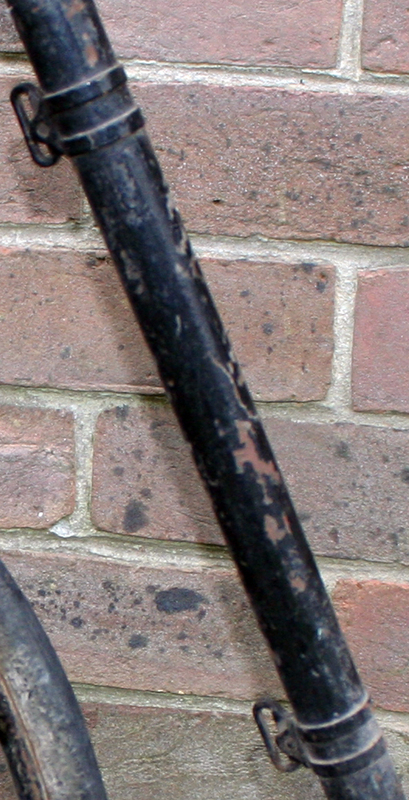 However, there are two gears, with two separate cogs both positioned on the right side (offside) of the hub (below). 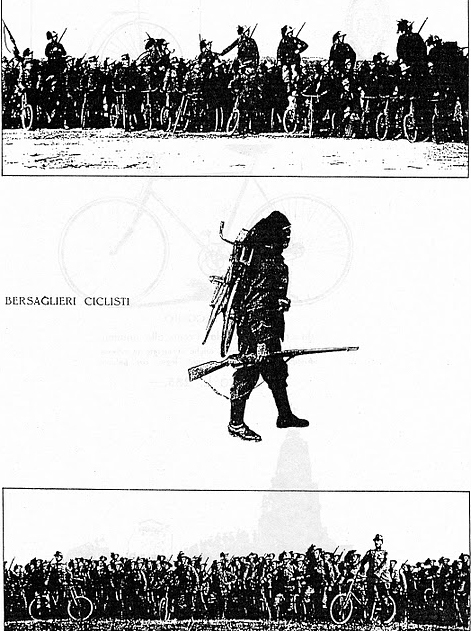 The Italian army reorganized its cyclist corps in 1923, and the Model 1912 Bianchi was replaced by the Model 1925. 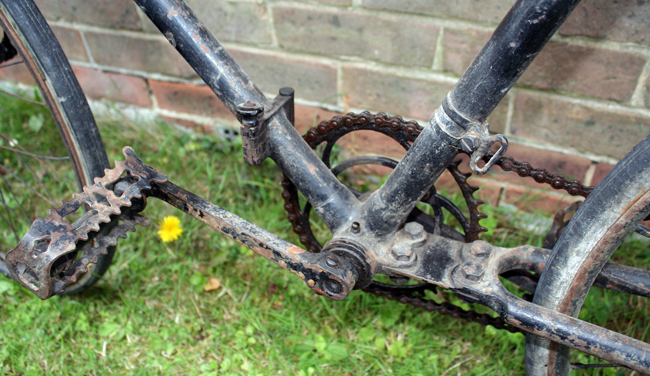 Modifications included gears on different sides of the rear wheel; you can see the revised hub gear in the pictures below. I’ve used this design change to identify mine as the earlier model. The above illustration shows tarpaulin mounted (though this was only carried when necessary). Also gas mask and water bottle. 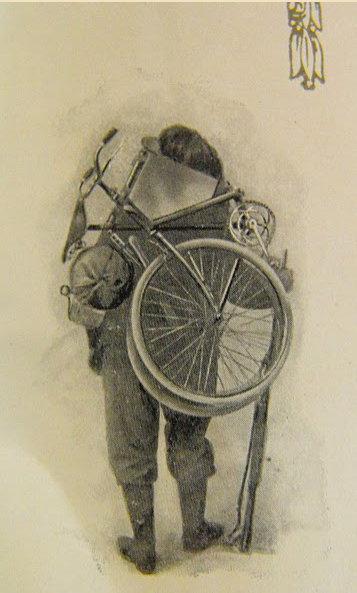 And a frame bag, which had shoulder straps to use when the bike was folded (it could also be fitted to the handlebars). 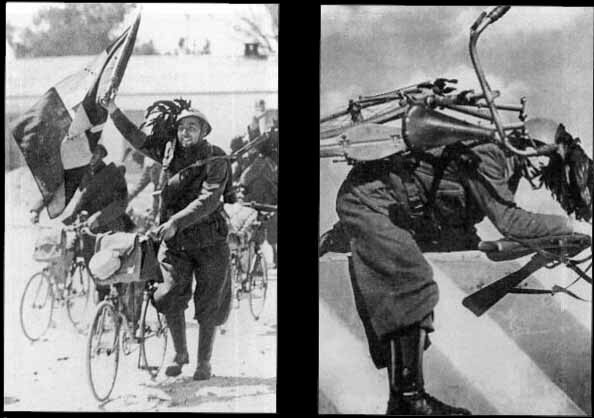 The Breda machine gun without its barrel (above, top picture) was fixed to a ring inserted into the saddle. 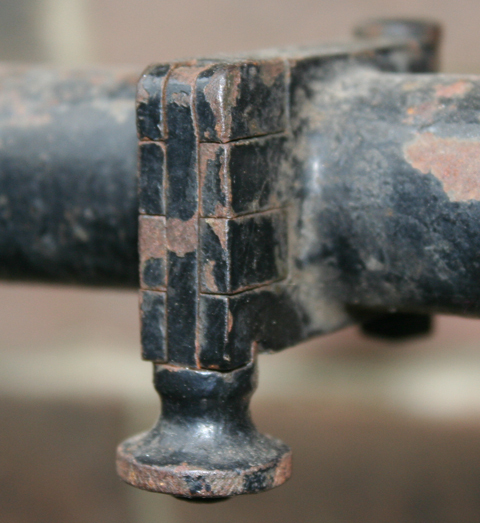 The barrel was carried separately, in a special case (above, lower picture). 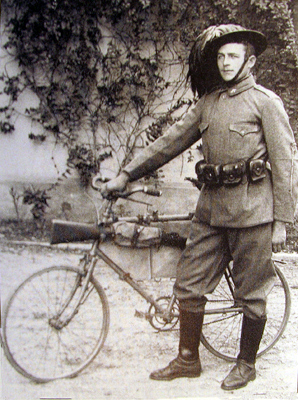 You can also see an ammunition box fixed to the handlebars; others were worn over triangular backpacks. 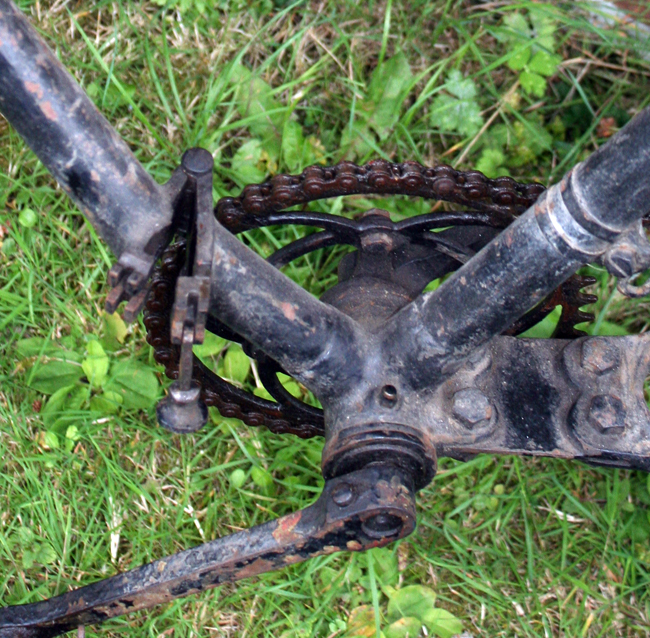 Some of the later Bianchis were also made with a steel sheet over the rear fork (below). I assume this was to strengthen the rear fork and chainstays. 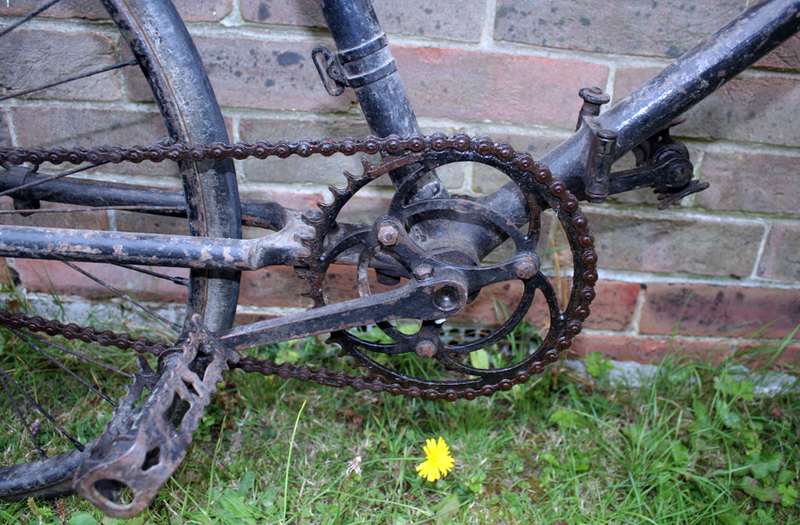 One aspect of these bikes I’ve not been able to determine is the two different styles of chainwheel. I’m not sure if one style superseded the other or if both were used concurrently. Un grande grazie to my friend George in Milan, who has found me some copies of Bianchi catalogues. 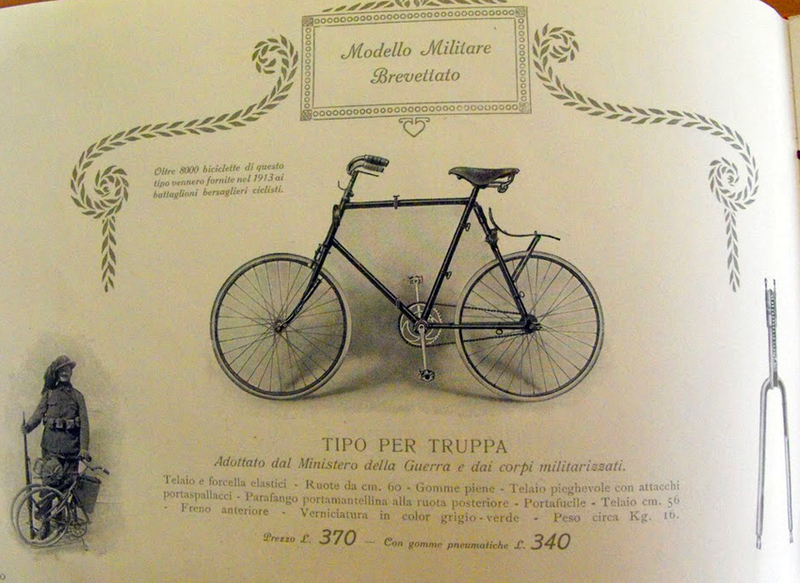 The 1913 and 1914 catalogues describe it as the ‘Modello Militare Brevattato’ and lists two types, a ‘Tipo per Trupa’ for soldiers and a ‘Tipo per Ufficiale’ for officers. 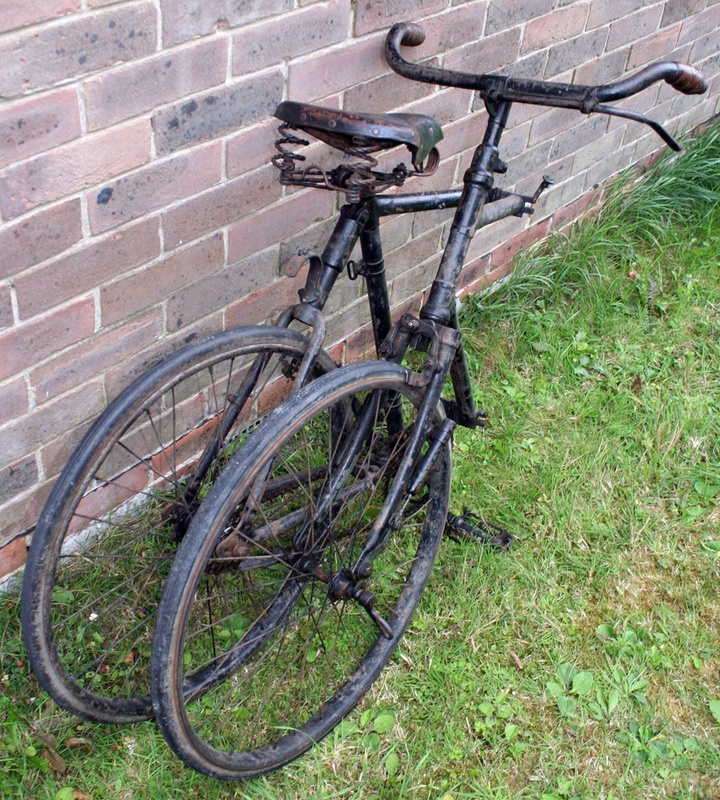 The bicycle had arrived as a military item in the 1880s and 1890s. 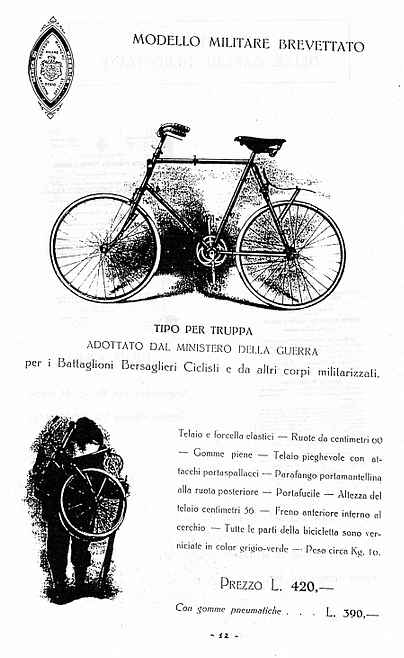 The Italians raised the use of the military bicycle to its highest level. 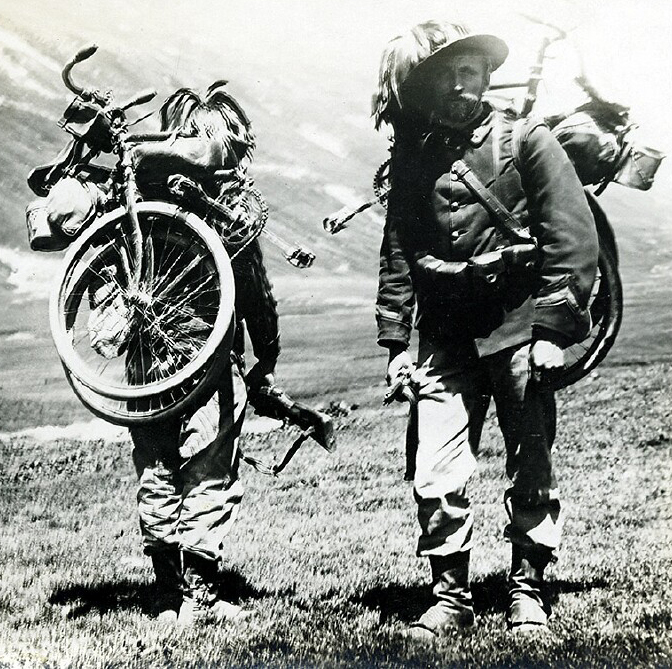 The bicycle troops were essentially a mounted infantry unit without a requirement for forage. They could be used as couriers, scouts, or in other traditional cavalry roles. 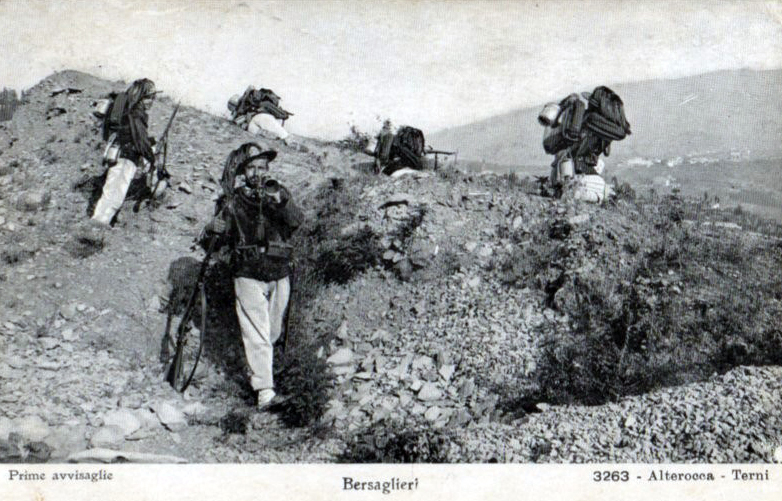 The Italians prided themselves on the speed with which Bersaglieri-cycilisti could manouevre. 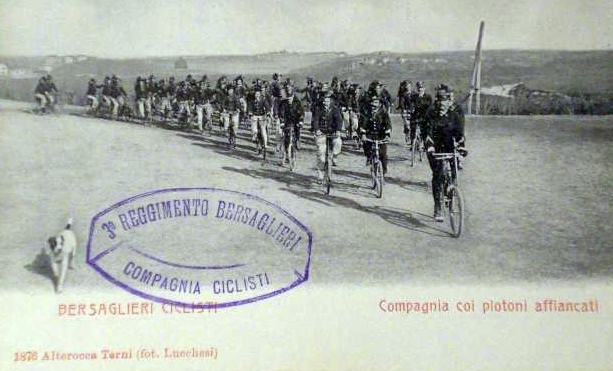 With their flamboyant uniforms, by the 1930s the Italian bicycle troops had become a vital part of Italian culture, revered much as football teams are today. 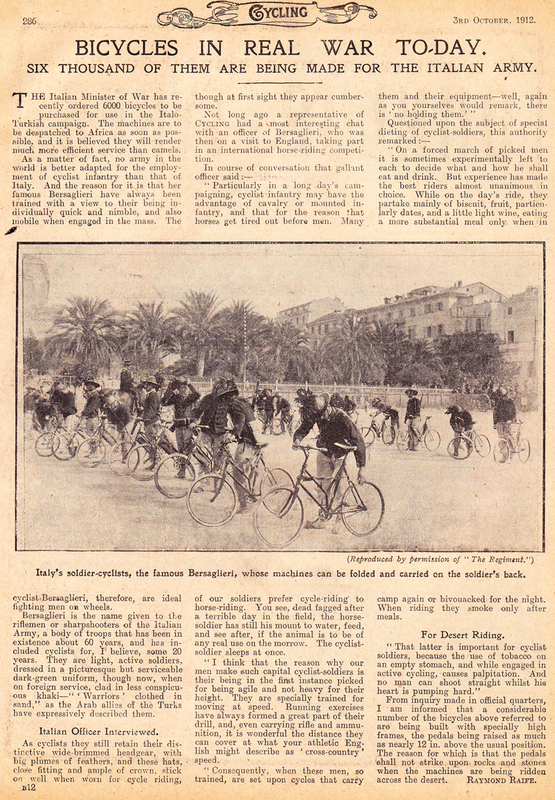 The first company of cyclists was formed within the 12th battalion of riflemen and used in manouevres in 1899 to good effect. 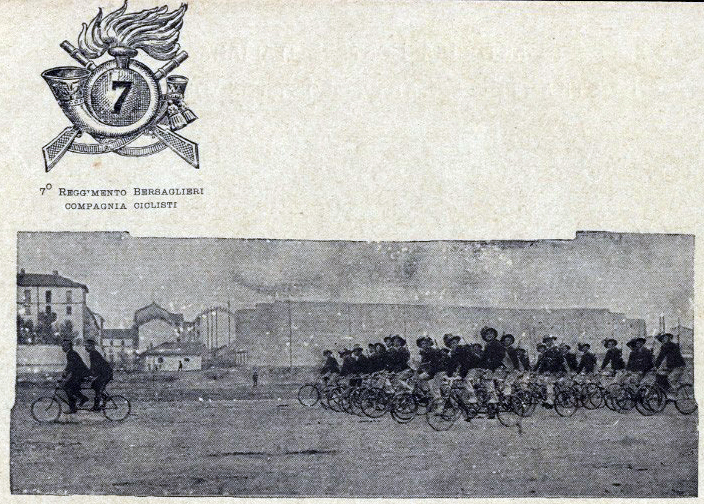 By 1905 there was a cycle company in every regiment. 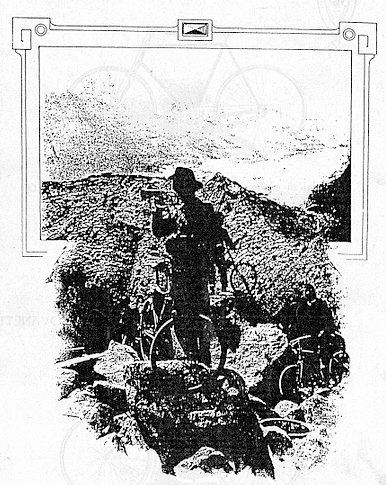 In 1907, there was a battalion of four companies of cyclists. 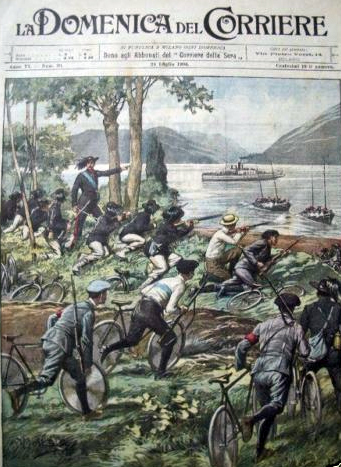 In 1910, the twelve regiments of riflemen included four battalions, one of which was cyclists. 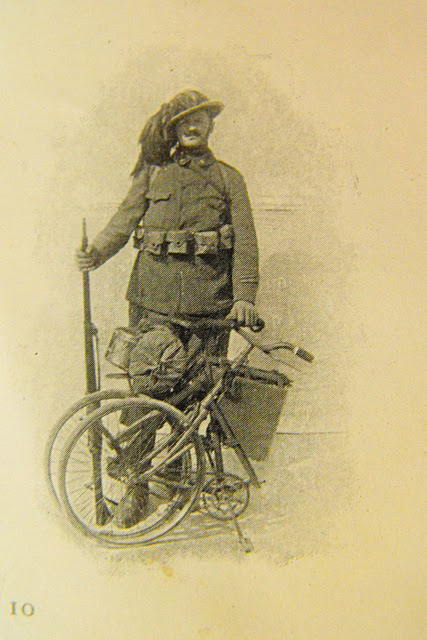 By the end of WW1, and the subsequent reduction in personnel, the cyclist battalions were reduced to two; these were abolished completely in 1920. 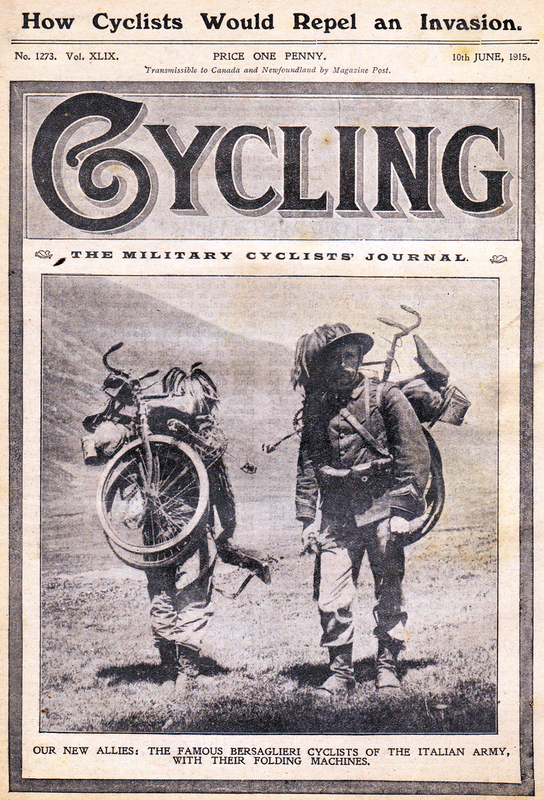 But, in 1923, with a reorganization of the army, twelve regiments of riflemen were created to include six cyclist regiments; the following year, all twelve became cyclists. The idea was to create rapid corps who could move quickly where needed, in support of other units. This they were able to do because they did not have to carry heavy equipment (which was brought up behind using trucks). 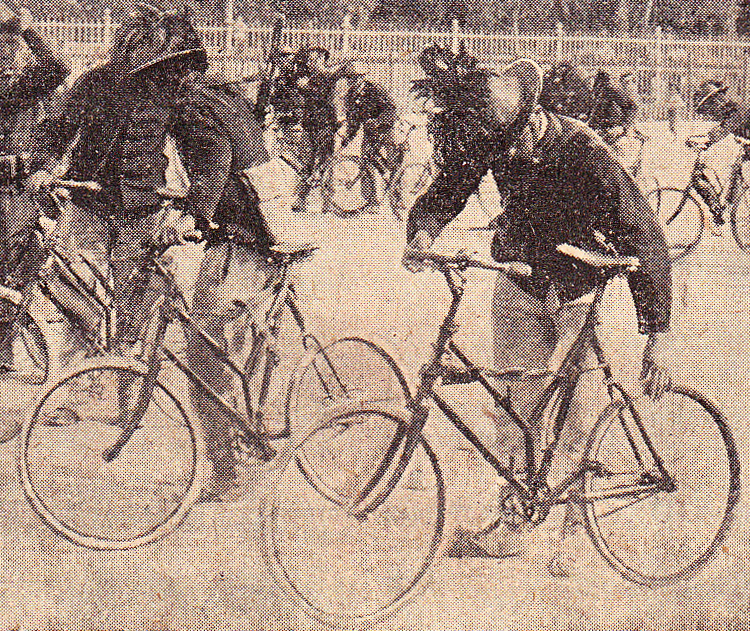 Eventually, the bicycle corps were motorized. The bicycles seen in this photo (expanded below) are a different type of Bianchi folding bike; it’s not a spring-frame.